The next couple of days should see showers and thunderstorms over wide areas of NSW and southern Queensland. Certainly nice to see some more interesting weather at this time of year. Looks like there may have been a lightning show along and off the coast from Sydney and south this morning. It follows some storms reaching severe criteria in SA and TAS yesterday afternoon. Coastal districts of South Australia have been drenched by heavy showers and storms today, and Adelaide is in the firing line this evening, according to weatherzone.com.au. Parawa picked up 28mm in the six hours between 9am and 3pm, with most of that falling between midday and 3pm. This has made it their wettest day in five months and wettest May day since 2004. Cummins, on Eyre Peninsula, received 18mm in the same time period, including 11mm in 10 minutes between 12:05pm and 12:15pm. This was also their heaviest rain in five months. 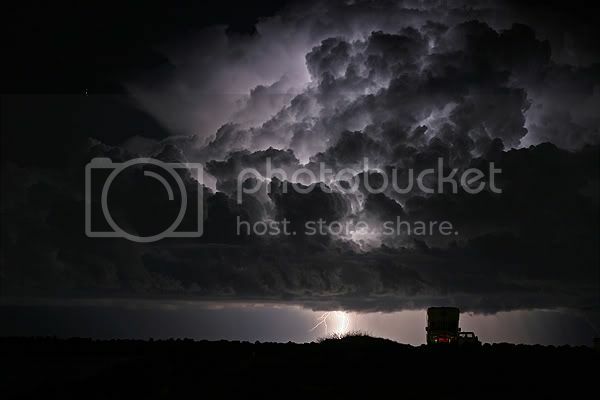 "A slow moving trough of low pressure is combining with high levels of moisture and an approaching wave of colder air in the upper atmosphere to trigger these heavy showers and storms," weatherzone.com.au meteorologist Matt Pearce said. "The upper level winds that are steering these storms are quite light, so they have been fairly slow moving. This is allowing some pretty high rainfall totals to build up." The main area of rain and thunderstorms will move over Adelaide over the next few hours, leading to widespread falls of 10 to 20 millimetres across the metropolitan area. Locally higher falls of up to 50mm are possible. A Road Weather Alert has been issued for Adelaide warning of the potential for flash flooding from these storms. "The trough will move away to the east tomorrow, so we are likely to see showers and storms easing through the morning and mostly clearing by the afternoon," Pearce said. Have a look at the Sydney 256Km radar, you can still see it there. Looks like certain parts of the storm were quitepowerful according to the radar. Just came home from an awesome show tonight 27th May 2008. 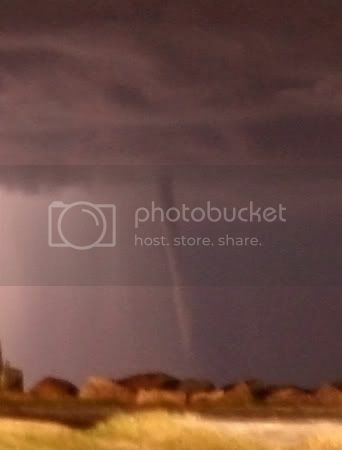 Some amzing lightning and structure just off the coast and a water spout check the pics below. May has been nuts! Wow Kane spectacular images you got there. The waterspout must have been an exciting bonus on top of the awesome lightning display. Looks like the storm was quite close to the coast. 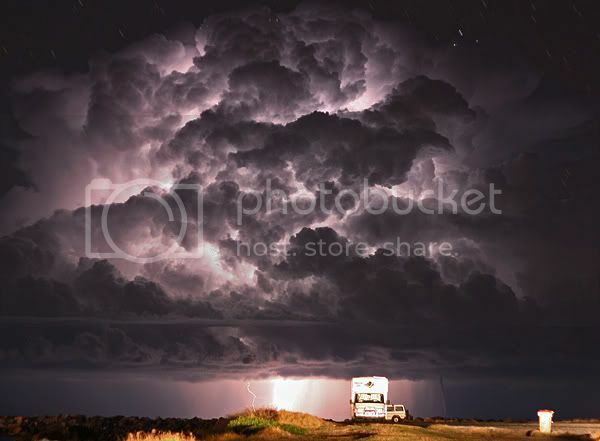 At the time of writing that cell is still flashing away down near Yamba. Would I be right in saying that this is the same storm complex that was off Sydney early yesterday morning?. Anyway well done and heres hoping for some sparks up here this arvo. Nice catch with the waterspout and lightning - absolutely awesome! The atmosphere always spins off surprises. The lightning display was on again near Sydney last night and it was reasonably active in sporadic bursts. Always interesting than dealing with a flat atmosphere in May. Wow Kane - you have been treated to some beautiful displays along the Coffs Coast over the past month. Thanks for posting those shots! 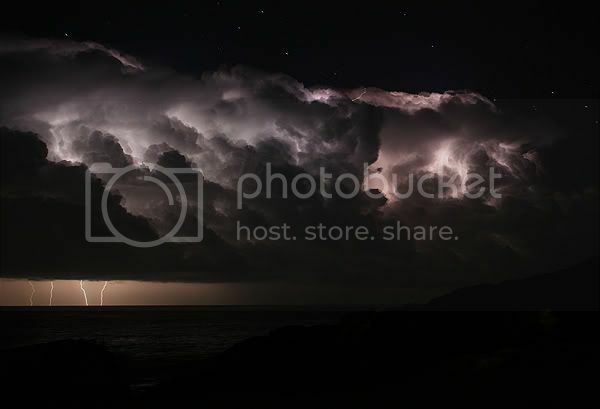 Jason - yes, the storms were a continuation of the activity which kicked off about 11pm Monday - so about 30 hours of constant offshore thunderstorms between the South Coast and Northern Rivers. Had a very loud crack of thunder here at 11.30am as a small thunderstorm cell developed locally. The rain has barely made it here since though it looks like Alstonville would have copped several mm. A hail storm hit parts of the Eurobodalla last night, damaging houses and shops, cutting power supplies and causing localised flooding. The storm hit about 8:30pm AEST, with the most severe impact around the Catalina and Deep Creek areas of Batemans Bay and near Mogo. Roads were covered with hail but police say there were no reports of accidents. The State Emergency Service (SES) says about 12 houses at Catalina were flooded after drains and downpipes became clogged with the heavy hail. Some shops at Batehaven have also reported to have been damaged. The storm also played havoc with communications, with phone lines cut and the SES having to re-route its emergency calls through the Wollongong headquarters. However, it says it was able to attend to most call-outs. Country Energy crews worked through the night on repairs to power equipment and had restored power to most areas by about midnight. The SES's Eurobodalla controller, Peter Collins, says there was a lot of hail in gutters. "All the ridges and valleys were filling up with hail and basically any water was just overflowing into houses," he said. "We finally got through 10 houses that were damaged, but I suspect that other people will get up this morning and find some wet floors." The SES is urging home owners in the Batemans Bay area to clear their roofs and gutters of hail today because it says the ice could remain there for some time and cause further water damage as it melts. 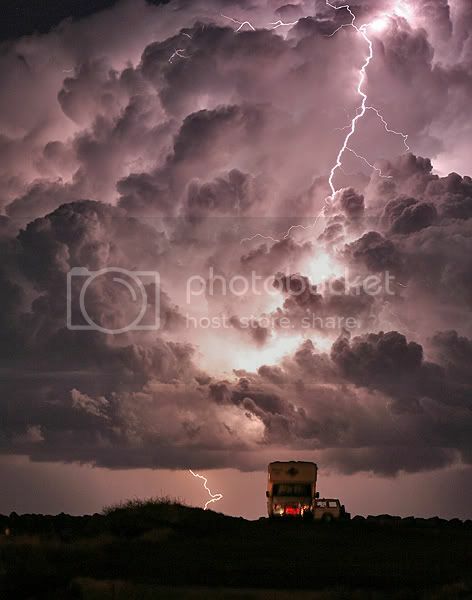 Nice to see some interesting weather about the place, and some decent lightning/structure photos to boot! Well done enak_12! We were just off the pace yesterday with a nice band of storms (on radar) between Dubbo and Bourke that didn't quite make it to us here at the Ridge? We received 3.5mm overnight from light but constant showers. It still looks somewhat threatening at the moment but I think it's bark is worse than it's bite? We have only just missed out once again with a band of storms stretching across the Moree region (to our east) currently. My Vantage point on top of westfield Miranda got me a few good bolts, unfortunetly i cant afford a HD camera so you will have to live with 640X480 snapshots. I'm open to donations for a HD camera also. Similar sort of skies here today too Karina. Although quite a nice shelf cloud structure formed along this line of showers a short while ago. No thunder heard but tracker showed a couple of bolts offshore. 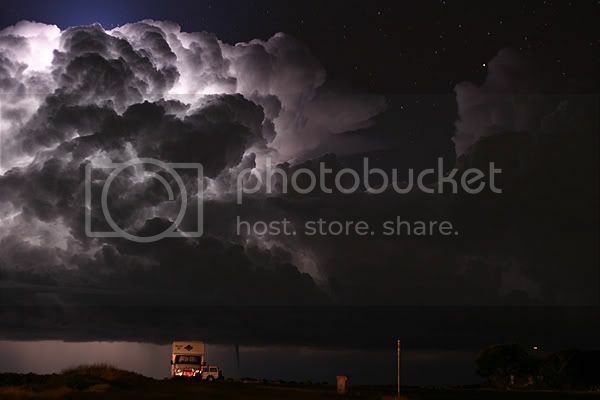 sorry just reposting this pic cause I accidentally resized the other pic in photobucket so deleted it, thanks for the comments some nice storms around down Sydney way as well. excellent storm came up through the Ryde to nthrn beaches area tonite. It was moderately active with lightning with a good mix of CG's and CC's. some really good structure and layering. Pretty good for a mid-winter storm. Watched the complex over the southern suburbs of Sydney move slowly north towards the North Shore this afternoon. The clear sky around this way provided a nice view of the updrafts billowing into the sky.